Lee’s grandparents purchased these 225 acres in 1917 and operated it as a dairy farm. 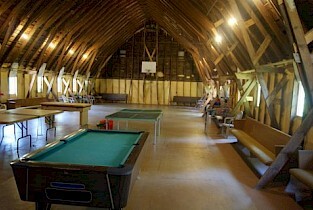 They opened a small tenting campground in 1965, making the unique barn a central focus of activities. The present barn, built in 1926, has undergone major restoration in the past 25 years. Lee’s parents expanded the campground and recreational possibilities from 1970-1983. In the last thirty-five years we have further expanded and up-graded the campground for seasonal as well as daily camping. Whether you are a new camper to the RBC or 2nd, 3rd, or 4th generation camper, we look forward to serving you and celebrating together! 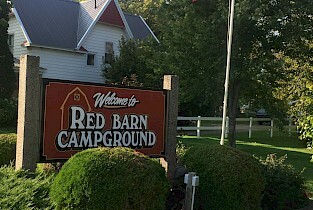 The Red Barn offers you many opportunities to relax & enjoy the beautiful outdoors on the farm. There is something for everyone so bring the entire family. 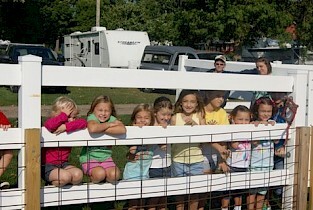 The Red Barn Campground is surrounded by many smaller communities offering year-round activities from swimming to golfing to rodeos and museums! For your enjoyment and use we offer everything from basic camp sites to full hook-up service, miniature golf, free WiFi, and more. You'll feel right at home! Come visit us today.